At Cypress Springs Family Dentistry, we believe that everyone should have a smile they can be proud to show off. If you’re living with teeth that are crowded, crooked, gapped or spaced, chances are you’re not living up to your full potential. We also believe you deserve options when it comes to straightening your teeth. 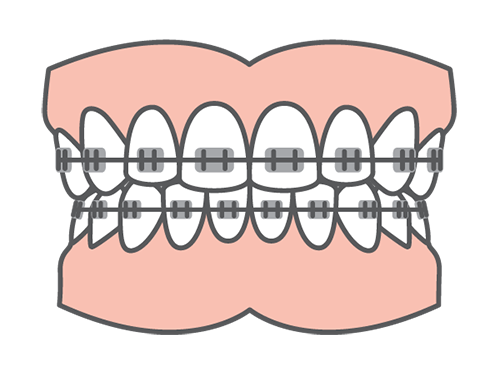 While traditional metal braces are still the gold standard in orthodontics, not everyone wants (or needs) to have metal braces for two or more years to achieve the results they want. Today, we can straighten your teeth quickly and discreetly with our alternative orthodontic options for teens and adults. There are many benefits in deciding to straighten your smile with orthodontics, ranging from functional, to cosmetic to health benefits. At Cypress Springs Family Dentistry, we are proud to be a certified Invisalign® provider in Cypress, Texas. Invisalign® is the original, and the most advanced clear aligner orthodontic system in the world. Invisalign® uses a series of clear plastic aligners to gently apply pressure and shift teeth into their desired position – without metal brackets and wires, and without embarrassment! Invisalign® allows your smile to shine all the way through treatment. Give us a call and schedule a consultation with Dr. Todd to find out how Invisalign® might just change your smile, your confidence, and your LIFE! If you wish you could straighten your smile quickly and discreetly without the lengthy treatment time and embarrassment of traditional braces, Six Month Smiles® might be just the solution you are looking for! Whether you have an upcoming important event like a wedding or graduation, or you’re just tired of living with a crooked smile that’s dragging your confidence down, Six Month Smiles® can give you the straight smile you deserve – with average treatment times of only six months! Six Month Smiles® is a modern spin on traditional orthodontics that uses clear brackets and tooth colored wires for a much more discreet appearance. By focusing only on the teeth that show when you smile, Six Month Smiles can achieve dramatic aesthetic results in just six months! Give us a call at (832) 844-6344 or schedule a consultation online to find out if Six Month Smiles® is right for you! If for any reason you are not a candidate for Invisalign® or Six Month Smiles® – maybe you require movement along the vertical axis or require significant bite alteration – we also offer traditional metal braces. Traditional orthodontics is still the gold standard in modern orthodontics, and can correct many alignment issues that alternative orthodontics may not be able to. *Dr. Todd is a general dentist providing orthodontic services. Use our form to request an appointment and someone from our office will get back to you as soon as possible. Please call us at (832) 593-7400 or fill out the form below to request an appointment. If you would prefer to call us, please do so by calling (832) 593-7400.